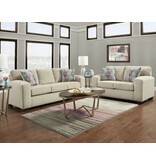 Update your living room today with the chic HSD Sleeper Collection! 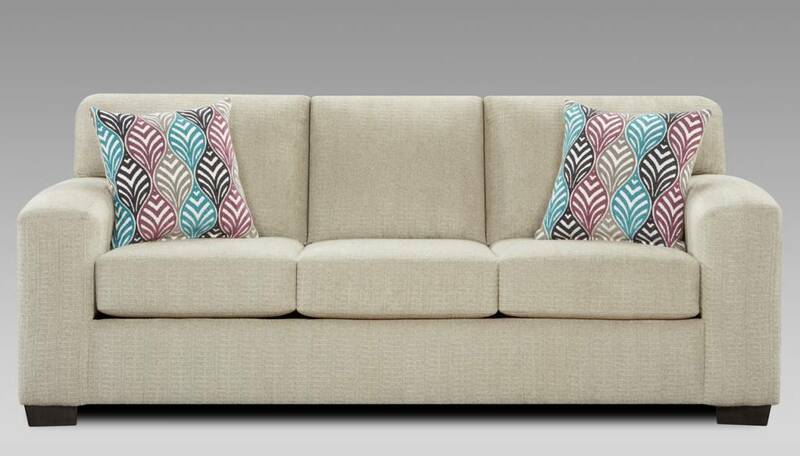 This seating group puts a modern spin on a traditional look, boasting straight and square lines. 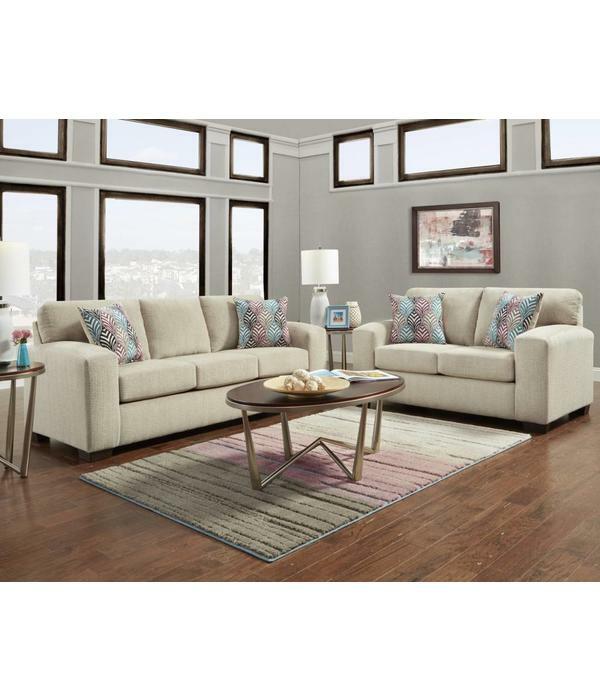 The platinum colored fabric upholstery and plush pillows provide support while giving way, creating a plush seating experience. 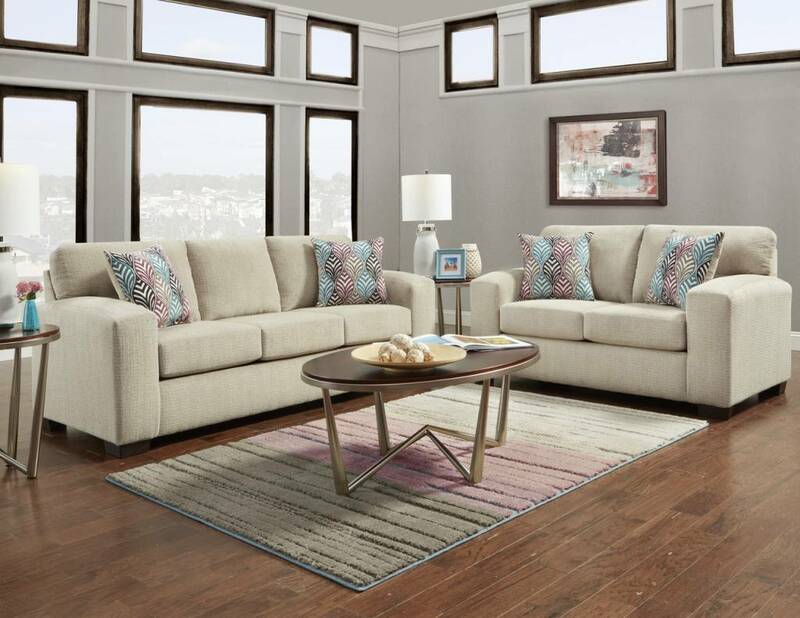 The included accent pillows boast a geometric print in neutral colors, making it easy to blend in with any existing decor. 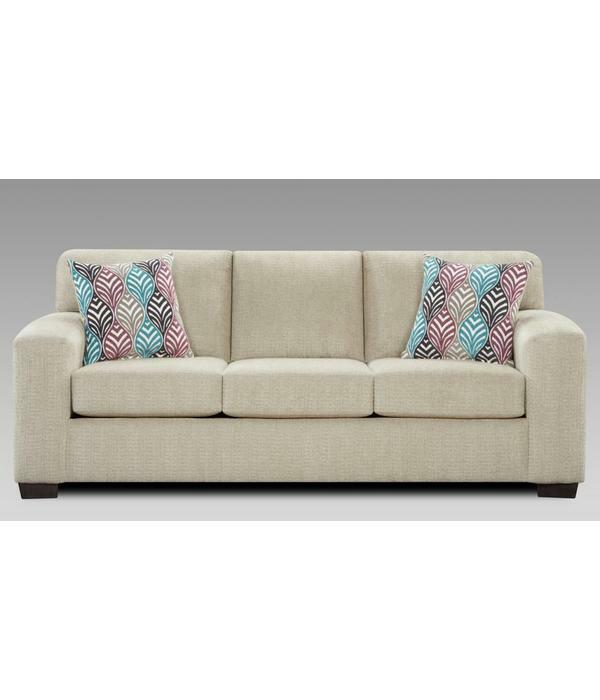 This sofa even offers a Queen Size pull-out sleeper for when overnight guests arrive! 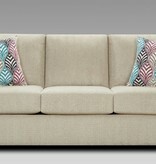 Add the matching loveseat. 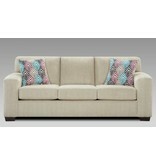 chair and a half and ottoman to complete the collection today!